All three degrees require a minimum of 60 credit hours of coursework including 42 hours of recommended courses from the core curriculum and a minimum of 18 hours in the field of study. Also required are the courses EDUC 1301 Introduction to the Teaching Profession and EDUC 2301 Introduction to Special Populations in which students are introduced to the philosophies and practical knowledge of teaching as well as being given the opportunity to participate in field observations of classrooms in local public school districts. The AAT gives students the opportunity to take a minimum of up to 60 hours of general education courses at STC and then transfer into a four-year university's School of Education. This degree meets the "No Child Left Behind" requirements for paraprofessionals and allows students to receive Continuing Education Certificates of Completion for Substitute Teaching upon completion of EDUC 1301 and for Teacher Assistant upon completion of EDUC 2301. *It is strongly recommended that students contact the Education department for specific degree plans aimed at transfer to UTRGV or TAMUK. 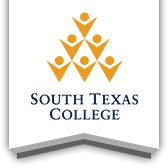 The purposes of this organization are to: promote education as a service and as a profession; to support activities, services and training for college students at South Texas College who are interested in pursuing a degree in education; and to uphold the high standards of professional ethics among all students interested in becoming educators. ATPE STC is currently affiliated with the Association of Texas Professional Educators at the state and regional level. With over 100,000 members, ATPE is the largest educators' group in Texas and the largest non-union educators' group nationwide. Affiliation with ATPE allows ATPE STC members privileges and opportunities afforded to professional educators in Texas. Such privileges include, but are not limited to, valuable discounts, leadership opportunities, Scholarships, Well-linked web site, professional development, Capitol connection, and informative publications. Service to our community is one of ATPE-STC's goals. We take pride in sponsoring and supporting many service and professional organizations in our area. Members also participate at the Regional and State level. In the past our organization has been named the Organization of the Year at the state level. Membership is free to students enrolled in college. To join, contact one of the Education faculty. You may also join by visiting ATPE's website: www.atpe.org. What is the Associate of Arts in Teaching (AAT) degree? The Associate of Arts in Teaching (AAT) degree is a Board-approved collegiate degree program consisting of lower-division courses that transfer to baccalaureate programs leading to initial Texas teacher certification. There are three AAT curricula which include 60 semester credit (SCH) hours of coursework. These three AATs can only be offered by Texas public community colleges, Lamar State College-Orange, and Lamar State College-Port Arthur, and are fully transferable to any Texas public university offering baccalaureate degree programs leading to initial teacher certification. How many semester credit hours of coursework are included in the AAT? What does the coursework include? degree and the subsequent revisions? The three AAT curricula were adopted by the Texas Higher Education Coordinating Board at its quarterly meeting July 15, 2004. Changes to the AAT curricula were adopted by the Texas Higher Education Coordinating Board at its quarterly meeting April 30, 2009. Yes. The AAT degree as defined by the Coordinating Board is fully transferable to all Texas public universities. Because the AAT fulfills the requirements of the field of study curriculum statutes and Coordinating Board rules, all Texas public universities must accept the three AAT curricula if they offer the applicable baccalaureate degrees leading to initial teacher certification. Can a Texas public community/state college offer an AAT that is a hybrid of the three AAT curricula? No. However, partnering community/state colleges and universities can enter into articulation agreements that could be considered a "specialized academic associate degree" (see Section 9.183(c) of Board rules) but not a Board-recognized AAT. 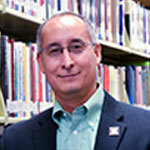 Can Texas public universities offer the AAT degree or a similar type program for native students? Texas public universities are not allowed to offer an AAT degree. However, universities are encouraged to offer similar programs for their native students. University students who complete such coursework can be granted a certificate of completion but not the AAT. Only Texas public community colleges, Lamar State College-Orange, and Lamar State College-Port Arthur are allowed to offer the AAT. Can core curriculum courses be prescribed by the public universities for students in educator preparation programs? Yes. Texas public universities can prescribe specific courses to satisfy core curriculum requirements. However, this should be done in cooperation with the university's community/state college partners, be in compliance with Coordinating Board rules concerning core curriculum , and articulated as appropriate. Can the TECA courses be used for degree specializations leading to the EC-6 certifications? What are the field-experience courses in the AAT Degree? The two field experience courses are EDUC 1301-Introduction to the Teaching Profession and EDUC 2301-Introduction to Special Populations. Are the two field experience courses considered in the 18-24 SCH pedagogy limits required for certification? No, the two field experience courses are not considered in the 18-24 SCH pedagogy limits. Who oversees the placement of students in the two field-experience courses, EDUC 1301 and EDUC 2301? The community/state colleges are responsible for the placement of students in the field experience courses. In order to accommodate students completing the required field experience hours, the community/state colleges are expected to work closely with their partner P-12 schools and university partners to make sure that P-12 schools are not overwhelmed with placement requests. What are the accountability requirements/issues for the public community/state colleges? The community/state colleges are expected to work with their university partners to ensure that the accountability issues and requirements are adequately addressed and that students are adequately prepared. No separate accountability measures are in place for the community/state colleges. Who is responsible for ensuring that students are adequately prepared? Are the public community/state colleges held accountable for student performance on the state's teacher certification examinations? No. However, community/state colleges are expected to work closely with their university partners to ensure that students completing AAT degree programs are adequately prepared. Are AAT completers automatically admitted to an educator preparation program or are they expected to meet the admission criteria of the public university? Students who complete the AAT are required to meet any and all entrance requirements of the receiving university and the educator preparation program, including grade point average and/or testing requirements. Do the AAT courses count for substitute teachers? Yes. Substitute teachers who are completing their undergraduate degrees are eligible to take the AAT courses as needed and/or appropriate. Must students in degree programs leading to EC-6 and 4-8 certifications be required to take the 6-9 hours of math and science each beyond the core curriculum as required by Coordinating Board policy? Can public universities require that these science and/or math components be upper level courses? Can a public university accept more than the 60 SCH even though Coordinating Board rules limit the number of hours a public university must accept from a public two-year college to 66? Does the Coordinating Board include tracking of AAT students in the CBM reports? Yes. Information about the various types of financial aid available to students pursuing careers in teaching is available on the www.collegefortexans.com website. If a student completes just the AAT and does not transfer to a baccalaureate program, for what jobs would the student be eligible? While the degree is designed for transfer purposes, for those who decide to "stop out" after completing the AAT, this degree meets the "No Child Left Behind" requirements for paraprofessionals. In addition, completion of the AAT is much like that of an Associate of Arts or Associate of Science degree in that it may qualify students for work that requires at least an associate's degree. How do I obtain a Substiute Teacher Certificate or Teacher Assistant Certificate? For a Substitute Teacher Certificate student(s) must have completed the EDUC1301 Intro. to Teaching with a passing score of a “C” or better. For a Teacher Assistant Certificate student(s) must have completed EDUC2301 Intro. To Special Populations with a passing score of a “C” or better. Who can qualify for a Substitute Teacher Certificate or Teacher Assistant Certificate? Applies to students who have completed their EDUC 1301 Course on or after Fall 2008 & EDUC 2301 on or after Spring 2014. What do I need to request a Substitute Teacher Certificate or Teacher Assistant Certificate? Make a request to your instructor/secretary at the end of the semester. Instructor/Secretary will submit the student name, A#, final grade, current phone number and mailing address, course section and instructor name for Department Chair approval. When can I request my Certificate? Final Grades need to be posted on Jagnet. Who do I contact to request a Certificate? You may contact your EDUC1301 Instructor, EDUC 2301 Instructor or Faculty Secretary at 872-6706. Student will receive their certificate by mail. Who do I contact if I want to pick up my certificate(s)? Office of Continuing Professional & Workforce Education (CPWE) at 872-3585. Where can I pick up my certificate(s)? Is there a fee for the certificate(s)? If I have a hold, can I still receive my certificate(s)? Student(s) must clear any holds with the college for the office will not mail out Certificates unless holds have been cleared.